From left to right: Cllr Anna King, Rafael Garcia-Krailing, PC Chris Stevens, PCC Stephen Mold, Insp Dave Rayfield, Becky Bradshaw, Sgt Martin OConnell pictured outside the vulnerability centre on Friday night (July 13) to mark the official launch event. Calls for a vulnerability centre, by this newspaper, have been answered by Northamptonshire Police and University of Northampton Students’ Union. In January 2017 The Chronicle & Echo launched a campaign to urge authorities to provide a well-lit and warm haven for party-goers who might suddenly feel vulnerable on a night out in Northampton. On Friday (July 13) our vision became a reality as the new vulnerability centre was officially opened on the grounds the new Platform club – giving peace of mind to an entire town. Equipped with first aid facilities, a defibrillator, toilets and a shower room, the building will be used by police officers and street pastors on Friday and Saturday nights. This provides a fit-for-purpose town centre hub where clubbers, who may have found themselves in a vulnerable situation, can be taken to ensure their safety, away from public view, and in a relatively comfortable environment, until they can be looked after. Chairman of Northampton Pubwatch Terry Steers, pictured, said the vulnerability centre is another reason why the town has a good nightlife. “If someone comes running out of the club and says ‘my mate is stumbling and they’re on their own’ door staff can radio for police, street pastors or for an ambulance and they can bring them here,” he said. “They can charge their phone, get in contact with their family and get picked up by someone safe. Formerly McDonald’s, in the Drapery, was used by police, street pastors and street marshalls to take those who might have needed help. One criticism, by this newspaper, was that it gave unwanted attention to those in an overwhelming environment who might find themselves feeling distressed. Northamptonshire Police licensing officer PC Chris Stevens agreed and said the new set-up was much safer. “McDonald’s was very public, in a glass bowl, with people looking through,” he said. “So this gives us the privacy and the security. The welfare hub will also provide a central location for officers on patrol, where they can do paperwork and take statements without having to return to Campbell Square. The centre – which was the former Black Bottom Club dressing room last used by Amy Winehouse – has been provided free of charge by the students’ union, and the University of Northampton has provided the first aid equipment. 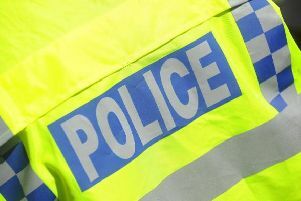 The building, which is already in full swing, will be staffed and used by police officers already scheduled for duty in the town centre on Friday and Saturday evenings. The Platform club - which now occupies both Auntie Ruths Bar and The Black Bottom Club in George Row - plays host to a cafe, a nightclub boasting three rooms and a conference centre for up to 120 people. The vulnerability centre stands opposite. This is in addition to the force’s weekly Nightsafe policing operation, with the intention being to staff the office from 10pm on Fridays and Saturdays until 4am the following morning. How vulnerable do you have to be to use the centre? “I don’t think there’s a threshold. It’s the officers and street pastors using their professional judgement and saying: ‘We need to do something and intervene with this person because we believe they’re vulnerable’. A look inside the shower room in the safeguarding hub. "In terms of vulnerability, say for example, if someone has become separated from their friends and we can reunite them quickly with their friends, that’s great. "However, if it takes a little bit longer because their phone has died, we have phone charging facilities and therefore we can get them to charge their phone quickly to the point where they can call people." Can clubbers admit themselves into the building if they feel at risk of danger? “In essence, it is a working premises, we can’t just let people walk in and out because it compromises their security. Inside the centre police can take live statements following incidents on nights out and tend to vulnerable people. "The ethos is the person who is vulnerable and needs police or stakeholder support will come in, either with a police officer or a street pastor or a member of door staff will communicate through the town radio so there will always be that referral process. “We can make an initial assessment based on the information we’ve got and then we can bring them down safely." What is the building’s capacity? “I don’t think we’ll ever get to a point where we will have to worry about a capacity. “I don’t envision the volume being so great that we are going to have 10 or 15 people in there at once. "I would suggest it depends on the number of police officers and stakeholders that are there." "Full first aid facilities - what you'd basically see in a basic first aid kit and we are going to have a defibrillator. "We have toilets and a shower room - so we have the ability for people to clean and freshen themselves up. "It is basic at the moment. We are not envisioning keeping people in for hours at a time. Its a case of assessing them and getting them as safeguarded as possible - but ultimately get them home."